Astyanax (Nintendo NES, 1990) VGA Graded Gold Level 85+ NM+ Brand New & Sealed! 80+NM VGA Graded Astyanax by Jaleco Nintendo Video Game - NES - FREE SHIPPING!!! Astyanax (Nintendo Entertainment System, 1990) Cartridge Only Tested Fast Ship! 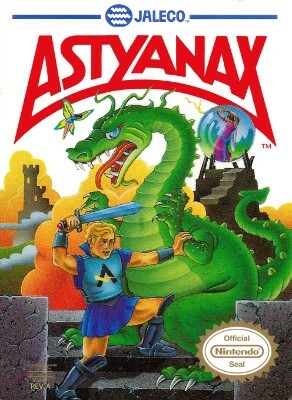 Astyanax - Nintendo NES Original Vintage Game Cartridge! Free Shipping!